Post Settings section is controlling some features like remove blog title, post info/meta, read more text, related posts etc options. Hide Blog Page Title: When you are creating the blog listing page, it is showing the page title. Sometimes users are not wanting it. So you can hide it using this option. Hide Post Info: This option will only work on blog, archive, category, tags, author, search etc pages. it will remove the post info from every post. Post Info Position: Using this feature you can move it above the post title. By default it is showing below the post title. Post Info: You can control the post info content from here. Hide Post Meta: This option will only work on blog, archive, category, tags, author, search etc pages. it will remove the post meta from every post. Post Meta: You can control the post meta content from here. Read More Text: It is only working when you are using the content limit option. Allowed Tags in Excerpt: Excerpt is striping the HTML tags. If you want to execute some HTML tags like <p>,<strong> etc in your excerpt then this option will take care it. Enable After Entry Widget: Genesis have a support for after entry content. When you will enable this option, you will get a new widget area “After Entry” at Widgets page (Appearance -> Widgets) and content of this widget area will show below the post content on post details page. You can add the newsletter signup form, some ads, any information etc things in this section. Enabled links will appear on author box . Enable Related Posts: Some sites are showing the related posts list below the single post content. 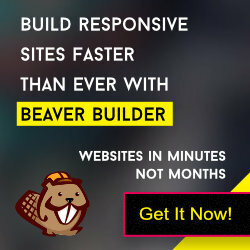 GBeaver theme is giving this feature for you. Choose the columns number and enter the post limit. Related posts box will appear on your site. Featured Image Size: You can control the image size of your related posts here.